« What Could Sheppard Signing Mean? Brett Favre has a history of trying to lobby his current team to draft guys that will make him look good. 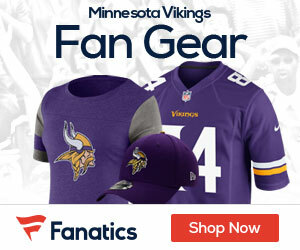 Last year, many people thought that perhaps the addition of Percy Harvin was the straw that broke the camel’s back when it came to Favre signing with the Vikings. The 2010 Vikings, however, are not in dire need of receivers, tight ends, or running backs. The most likely scenario is that they get a play making running back if anything when it comes to taking a guy at these positions early on in the draft. PFT recently compiled a list of known prospect visits and private workouts for each team and while they missed a few for the Vikings, they also brought up two names that were not previously known to Vikings Gab. One of those names was running back Jonathan Dwyer out of Georgia Tech (the other was John Skelton, quarterback from Fordham). Dwyer sounds like a late-first or early-second round guy. So, if so many people think that the Vikings 2010 hopes hinge on Brett Favre returning for another go, is there added value in taking a guy like Dwyer at #30 to help persuade him to do so? Or is it more important to take the best player available, even if it is on defense, and risk disappointing Favre enough to make him seriously consider retirement again? Even if that player will be the #2 running back at best? On the eve of the 2010 NFL Draft, this is the incredibly complex and interesting question I pose to you all. The comments section is open… have at it. I would LOVE it if they traded up for Clausen (wherever that ends up being) and telling Favre to take it or leave it (would be nice if he decided to take it, of course). Vikings Trade McKinnie and Jackson to the Redskins and pick up Clausen #4, then trade up (their #30 and 4th rounder) for Bulaga at #14. Linebacker in the Second, Safety in the 3rd, Centers/Guards in the 5th, BPA in the latter rounds. Great to see you checkin in ABV. And couldnt agree more. Johnny Blondes is trying to put you out of a job!! Thanks Johnny. I know…too much work and not enough play for this gal. But it’s gettin’ to be FB time!! So… what is the ideal draft if your only aim is to keep Farva-beans interested? The answer is CJ Spiller, Trent Williams and Dez Bryant, trading McKinnie for Spiller, trading our 3rd rounder and swapping 1st rounders for Trent Williams, and our 2012 2nd and 3rd rounder and Tarvaris for Bryant. Cook is not the answer. BPA is the answer. Starrs, I don’t know who is going to be there when we pick, But tomorrow night can’t come soon enough !!! Freds you don’t think Starrs trading and swapping will work??? Yes it will work perfectly as long as he is dealing with Kevin Mchale as a trading partner. I’m not tech enough to find freds…..